It’s still too early to call, but right now Los Angeles charter amendment B, a.k.a. 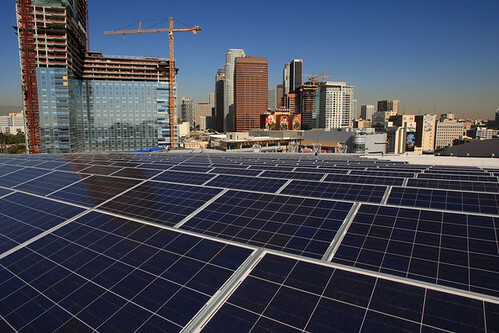 Measure B, which would authorize the creation of a Los Angeles Department of Water and Power (LADWP) program to require the production of at least 400 megawatts of solar energy in the city by 2014, is trailing in the results from yesterday’s city election. According to the Los Angeles Times, the City Clerk’s office reported that 50.3% of voters were rejecting the measure, although not all votes have been tallied. The measure needs a majority of votes to pass. Proponents of the measure claim that it would create jobs and generate enough solar energy to power 100,000 households. Opponents say that LADWP’s efforts would be much more expensive and less efficient than relying on experienced private solar installers. We’ll keep you posted on the final results..